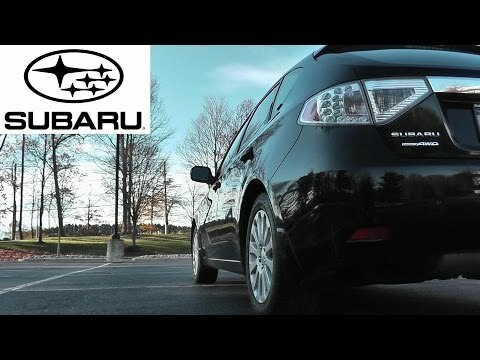 The 2010 Impreza is a great choice for those looking for a reliable and capable compact car. The all-wheel-drive drivetrain provides secure handling in nearly all road and weather conditions, potentially a must-have for those living in less temperate climates. The turbocharged engine found in the Impreza 2.5GT offers plenty of passing power and fun. Very happy after 8 years! This car is perfect for 2 or a family, adults can actually ride in the back seat comfortably. The back seats fold down and an amazing amount of cargo can be hauled if needed. It is sporty, looks very nice and corners like a dream! We live in northern California and the roads are two lane winding, curvy hill roads. I cannot imagine going back to what I owned before. This vehicle has the power to climb and takes the corners without squealing tires. Before I retired I drove twenty five miles, over a mountain every day to work. In the winter months when we had heavy rain and snow, I never had one problem with hydroplaning or slipping. The car is steady and reliable. I have owned this vehicle for eight years and have not had one mechanical problem! I would recommend this car to anyone that is looking for a small, cute but powerful and reliable car. In fact I have! After 8 years it still looks like new when it is washed and waxed. . . The seats and trunk area do not seem to wear. The one problem we have experienced is when helping an elderly (90yr old) passenger to appointments the seats are a little too low to comfortably get in and out of the car. But, since that is not an everyday use, it does not seem like a problem, however I couldn't recommend an elderly person for ownership. Subaru Impreza - probably better to buy new than used. Purchased our 2010 Subaru Impreza as a used vehicle in 2011. We went with Subaru for their reliability. Someone we know had over 200,000 miles on their Subaru legacy. We also wanted a hatchback. We went with the Impreza since it was on the lower end of pricing. Since then we've had to replace quite a few parts. Power steering pump (2 in the same year), sway bars, and front axle to name a few. We also continually get water in the rear tail lights. We would probably stick with Subaru for our next car but we would buy new and maybe a higher end model. Comfort wise the car is great. The only thing I wish is that the front passenger seat would adjust up and down like the driver side. This is an older car so it does not have a ton of modern features. Though we really love the sports package that has defrosters almost everywhere. The car has been pretty reliable. We've never been stranded before. Even when major things go wrong we can usually get the car to the shop before anything major happens. Best car to have. Reliable, safe, durable.